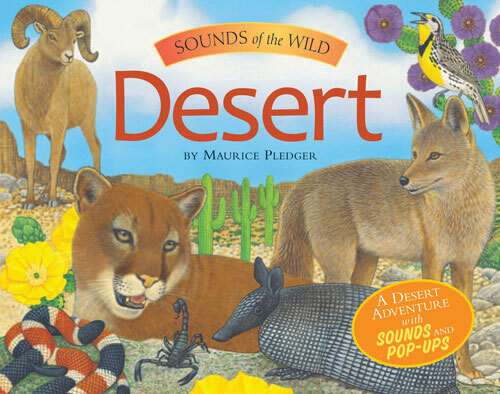 Kids are introduced to desert wildlife through this wonderfully illustrated book. Each page opens up to an elaborate popup scene, accompanied by the sounds of the animals and environment. Instead of just reading about a mountain lion, listen to him roar. It’s like a trip to the desert! The book also includes detailed descriptions of each creature.